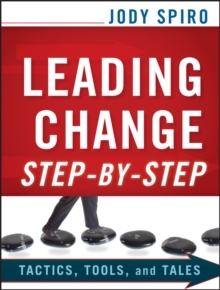 A practical, step-by-step guide to leading change efforts for sustainable results Leading Change Step-by-Step offers a comprehensive and tactical guide for change leaders. Spiro's approach has been field-tested for more than a decade and proven effective in a wide variety of public sector organizations including K-12 schools, universities, international agencies and non-profits. The book is filled with proven tactics for implementing change successfully, with helpful tools to put change efforts into practice (including forms, rubrics, and helpful questions to ask). Also included are success stories that show how this approach has been used effectively in 22 states and internationally. The tools reveal how the leader analyzes situations, identifies the groups needed to get desired results, and works with them effectively to do so. 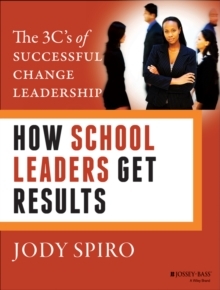 * Includes engaging self-analyses for leaders to inform their leadership when putting in place a change initiative * Jody Spiro is an experienced leader of systems change for public, nonprofit, and private sector organizations * Offers information on assessing a situation, engaging stakeholders, planning "early wins," minimizing resistance, building a supportive culture and much more This important resource shows how to translate a vision of a sustainable educational reform into a series of coordinated action steps.